Apostle Islands National Lakeshore (1970) - located upon the largest of the Great 5, Lake Superior, at the very northern area of Wisconsin - along the southwest shoreline of the Bayfield Peninsula (from Meyers Beach to Little Sand Bay), including the 21 sandstone islands comprising the glacial formed archipelago. This area is the Lake Superior Clay Plain ecoregion, (a flat to undulating lake plain and outwash lowland, where the soils are calcareous red clays). 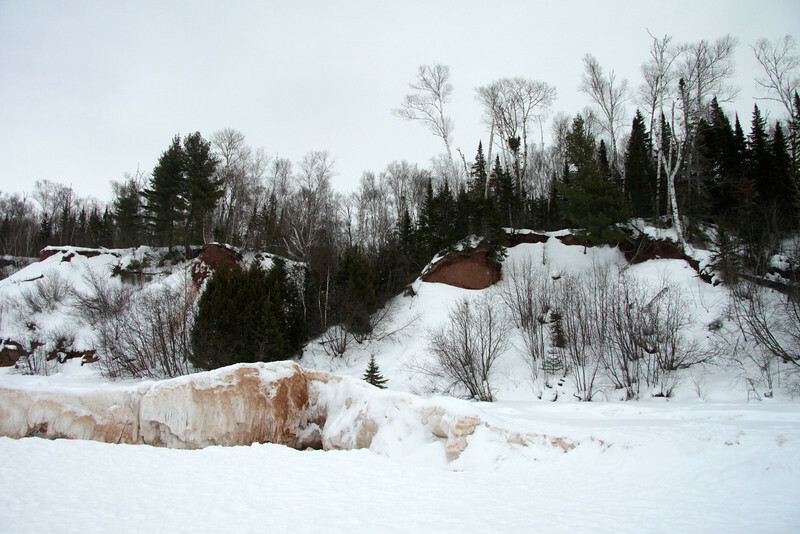 This image along the southwestern shoreline of the Bayfield Peninsula, just south of Meyers Beach - where the lake ice meets the vegetated slopes.